Gboard APK has been released with the latest version 6.4.14.162163308 for Android. This app is new Google Keyboard for Android which can be downloaded for free. 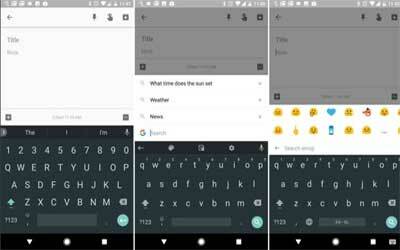 In addition to having the operating system, Android smartphone is also possible to use Google’s applications, one of them is Google Keyboard. However, Google has changed the name of Google Keyboard into Gboard which had already been present in iOS device in mid-2016.